A view toward a wind farm across I-74 and across about 1,200 acres owned by Venezuelan ABP Farms Trust just outside of Fithian, Ill.
Over the past decade, nine of the top foreign owners of U.S. agricultural land bought most of their land, according to an analysis of data kept by the U.S. Department of Agriculture. Much of that land was owned originally by International Paper, the world’s largest paper and pulp company, which sold its 5.6 million acres of timberland in the United States to foreign owners for $4.8 billion in 2006. Most of that land was ended up in limited liability corporations called Red Mountain Timber Co I, II, III and IV. The move was part of the company’s “Transformation Plan;” instead of being a landowner, International Paper chose to focus on the production process and sold its land in a red-hot timberland investment market. In addition to the cash on hand, International Paper also got a $1.4 billion tax deferral that it still holds today, more than a decade later. Most of the land was sold to limited liability corporations managed by Resource Management Service, a Timber Investment Management Organization based in Birmingham, Alabama. Reorganized as a TIMO in 2004, RMS itself doesn’t own the land; instead, it organizes groups to buy the land, and these groups are often set up as limited liability corporations, making it impossible to know who the owner is. The new owners of the land are often institutional investors, such as pension and retirement funds or university endowments, or large private investors. In just over a decade, RMS has acquired more than $4.5 billion worth of timberland. The four International Paper LLCs are RMS’ biggest investment opportunities, attracting dollars from across the world. For example, a Dutch pension fund for metal workers invested in Red Mountain Timber Co I and IV, requiring the company to register with the United States Department of Agriculture. Not coincidentally, 2006 was the largest year for foreign acquisition of United States agricultural land, reaching about 3.7 million acres, according to the analysis. In fact, between 2004 and 2014, the amount of agriculture land held by foreign investors doubled from 13.7 million acres to 27.3 million acres. The value of this land also increased from $17.4 billion (in today’s dollars) to $42.7 billion. Investment in agricultural land, particularly timberland, had been picking up for decades, partially because of a wish by investors to diversify their holdings and partially because of a growth of certain tax set-ups that favor investment in agriculture land. A newsletter sent to investors by JP Morgan in 2008 showed an analysis by the company that found that an investment of $100 in 1987 would’ve generated $2,000 by 2008. The analysis showed that about 20 TIMOs controlled $50 billion worth of timberland, with both foreign and domestic investors. That number has since grown. It also said told investors that the benefits of ownership had outweighed risks of lumber price fluctuation and weather problems. Much of the growth in foreign investment can be traced to large timberland investors, like Resource Management Service and John Hancock – a Canadian company that manages timberland investments. But there are other significant land owners when it comes to value of the land, including wind farms and mining companies. The top foreign investors own about $8.1 billion worth of agriculture land, almost one-fifth of all holdings, according to calculations by the Midwest Center for Investigative Reporting. The largest of the former International Paper holdings by Resource Management Service, Red Mountain Timber Co III has the holdings from Arkansas, Louisiana and South Carolina. This company includes land larger than the state of Rhode Island, worth almost $1.1 billion. The LLC, which is likely made up of a group of large investors, has a holding from the Netherlands. Industrial Developments International is a real estate investment trust (REIT) founded in Atlanta in 1989. A REIT is a type of investment modeled after mutual funds, where the trust invests in real estate, pays out almost all of its taxable income as dividends, in order to avoid double taxation in the form of corporate tax and then personal income or capital gains tax, making it popular among investors. 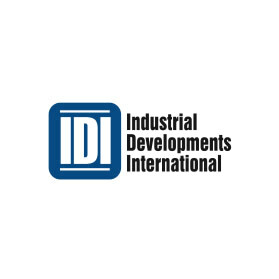 IDI is largely owned by Kajima, a Japanese construction company, but about 25 percent of the company was acquired by Brookfield Asset Management, a Canadian company, in 2013. The company owns just 1,100 acres total, but the value is more than $1 billion. The parcels it owns are in very wealthy counties, including Boone County, Kentucky, a hub for horse racing; Riverside County, California, which borders Orange County; and Lake County, Illinois, a largely suburban county just north of Chicago on Lake Michigan. These parcels could also be large estates, vineyards or ranches. There is also about $336 million worth of land owned by other listings for limited partnerships under the name Industrial Developments International, based specifically in Georgia and Texas. More land owned by company: Limited partnerships worth $335,572,000. The second largest of the former International Paper holdings by Resource Management Service, Red Mountain Timber Co I has the holdings from Alabama and North Carolina. The LLC, which is likely made up of a group of large investors, has a holding from the Netherlands. No. 4 – Asarco, Inc.
Asarco, which was founded as the American Smelting and Refining Company in 1888, was acquired by Grupo Mexico in 1999. While the company doesn’t own nearly as many acres as timber companies, the land is worth significantly more because of the minerals in the ground. Annually, Asarco extracts 350 to 400 million pounds of copper, making Grupo Mexico the third largest copper producer in the world. Grupo Mexico also operates Mexico’s largest railroad fleet, something that Mexican watchdogs recently signaled as a potential monopoly. The Hancock Timber Resource Group, which is affiliated with the John Hancock Life Insurance Company, is one of the largest Timber Management Investment Organizations in the United States, managing more than $10.5 billion. The totals for John Hancock are difficult to find because its split up into many different types of companies, but the listing for John Hancock Life Insurance Company includes 351,000 acres worth more than $800 million. The Boston-based John Hancock Life Insurance Company was acquired by Canadian insurance company Manulife Financial in 2004. In this grouping, about 48,000 acres are considered cropland and about 300,000 are considered timberland. John Hancock is also listed at No. 8 and No. 12 on the list, with a total of 571,354 acres worth $963 million. In addition to this listing, that would be $1.77 billion total. Transactions: All were in between 2004 and 2013. No. 6 – RED RIVER NACOGDOCHES TRS, L.P.
Red River Nacogdoches is one of a number of “Red River” partnerships listing a Hancock Timberland address. These timberland holdings are made up land in Texas, Arkansas and Louisiana. Nacogdoches is made up of timberland in Texas. The third largest of the former International Paper holdings by Resource Management Service, Red Mountain Timber Co IV has the holdings from Alabama, Louisiana, Mississippi and North Carolina. The LLC, which is likely made up of a group of large investors, has a holding from the Netherlands. The second listing for John Hancock Life Insurance Company. In this grouping, there are about 296,000 acres of timberland. Transactions: All were in 2005. Smithfield Foods, which raises more than 15 million pigs per year, is the largest meat processor in the United States. It was bought by a state-owned Chinese company in 2013, along with a significant amount of land. Transactions: All were in 2013. No. 10 – ALTA FARMS WIND PROJECT I, L.L.C. 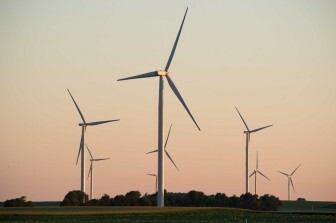 The Alta Farms Wind Project in Central Illinois is a proposed wind farm owned and operated by Enel, an Italian energy company. The farm is one of many wind farms owned by Western European companies. While wind turbines themselves take up very little land, wind projects often buy the land surrounding the turbines and lease it to local farmers. Transactions: All were between 2008 and 2012.